This study evaluated the factors affecting lower urinary tract symptom (LUTS)-related quality-of-life (Qol) scores and the change in the Qol scores following treatment. 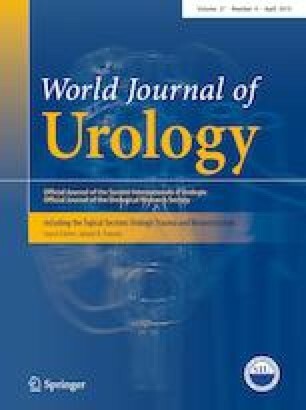 This pooled data analysis study collected the international prostate symptom score (IPSS) with Qol score from five studies which evaluated the change in the IPSS after medication for LUTS. Post-treatment IPSS with Qol scores were measured at 3 months after the initiation of medication. The mean age of 444 men was 62.5 ± 8.5 years. The mean IPSS total and Qol score at baseline were 18.6 ± 6.7 points and 4.0 ± 0.9 points, respectively. Each IPSS item score, except IPSS 3, was found to be an independent factor that had an influence on baseline Qol scores, with IPSS 7 (nocturia) showing the most significant correlation. After 3 months’ medication, IPSS total and Qol score were significantly decreased to 11.7 ± 6.4 (p < 0.001) and 2.9 ± 1.2 points (p < 0.001), respectively. On multivariate analysis, the improvements in IPSS item 2, 4, 5, and 7 scores were found to be independent factors that had an influence on the improvement in Qol scores. The improvement in IPSS 7 had maximum influence on the improvement in Qol score. Among men with a decrease in total IPSS score by 5 or more points but without improvement in nocturia, Qol was not improved in one-third of them. Storage symptoms had a greater influence on QoL scores than voiding symptoms. The improvement in nocturia after treatment was the most important factor for the improvement in Qol. The online version of this article ( https://doi.org/10.1007/s00345-018-2410-8) contains supplementary material, which is available to authorized users.